We live in an era of unprecedented technological innovation. According to Forrester Research, only 12% of the Fortune 500 companies from 1955 remain Fortune 500 companies today. 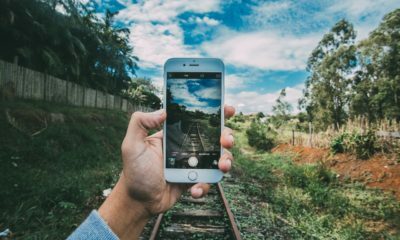 Most likely because, as Forrester research discovered, only 27% of businesses have a coherent digital transformation strategy for creating customer value in place. Yet, many companies are placing digital transformation at the center of their strategies through 2020. Over the last few years, digital transformation has become an industry megatrend. Legacy enterprises are forced to embrace this critical shift out of fear of becoming obsolete. Innovation and growth are no longer optional to the enterprise. Today, enterprises use ICT technology to improve working efficiency, create business innovations, and provide better customer service. For many of these Fortune 500 companies, the challenge is to develop new business models that increase connection and engagement. 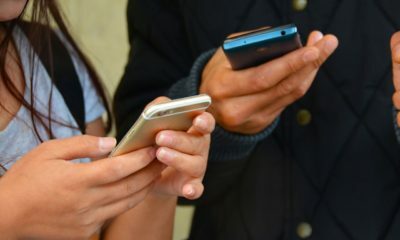 What’s needed is a digital transformation platform that connects intelligence, data, and devices, enabling them to increase engagement with partners and develop applications that foster innovation. Cloud computing, Internet of Things, artificial intelligence, and other new technologies are driving the human society into the smart era. The most striking feature of a smart society is the connection and fusion of the physical world and the digital world. The problems of the physical world are now being solved by the digital world. As enterprises are constantly striving to attain new business value, the speed of innovation is crucial. Companies need to be swift, agile and leverage all aspects of technological innovation. A truly digital enterprise uses emerging technologies as a strategic effort to go leaner, focus on agile business processes and enhance the business analytics of the enterprise. A digital enterprise relentlessly searches out, identifies and develops new digital business models, always ensuring that customers and employees are at the center of its innovation. Digital innovation has become an essential catalyst and a driving force of economic growth. It’s a journey, not a sprint. Designing a digital transformation framework for success is focused on innovation and attaining new business value, aimed at a creating an optimal user experience. To the point that the needs of the end-user need to be integrated into the service model. Consumers today, demand a faster, simpler, and enhanced digital experience that provides the best product and combines it with stellar service and most advanced technology. Embracing digital transformation at the enterprise level requires a strategic approach that factors in all of the goals, people, technologies and required integration to form a proper strategy. A core function of any business is to continually advance and improve its operations, products, and services. Enterprises that adhere to a digital transformation framework are not only focused on improving, they are the key drivers of innovation and disruption. Equipped with disruptive and innovative strategies, these companies can compete in today’s fast-paced market that is being driven by consumer demands, new technologies, and new business models. Why Embark in Digital Transformation? Many legacy enterprises have built their business on certain methods of operation. It is these operating systems that have enabled the company to prosper and survive until today. The digital realities of today, however, are forcing these companies to reconsider and reimagine the fundamental systems that have been the keys to their success. The technological environment is changing, highlighting how ill-equipped these companies are to adapt and change. Speed is essential in digital transformation. While the speed of digital transformation may vary with industry, stagnation is the antithesis of the digital mindset. A company maintaining a static mindset in the digital era is paving their path to failure. With external pressures – customer demands, emerging technologies, lean startups and disruptive business models- pushing the business towards innovation, the classic methods of operation are no longer delivering the expected results. As the impetus for change increases the need to design a strategic path towards digital transformation becomes inevitable. While many companies may opt to slowly tweak specific inefficiencies, a true digital transformation requires a revolutionary approach. An all-encompassing digital revolution can revitalize an enterprise and pave the road to future success. A digital transformation framework will guide the leaders and direct the business towards a path of progress. Businesses need to be in a state of constant evolution. Building a momentum and a rhythm reflects a shift in the mindset. It is a sign of a new reality and creates a paradigm shift for the entire industry. Digital transformation with its customer-centric marketing and business processes requires the ability to work across business verticals and silos. In fact, digital transformation focuses on cross-vertical collaboration, restructuring the organization to create methods that break down the silos. In a digitally focused enterprise, the goal is to encourage cross-department interface and to create an environment that is fertile for consumer-focused innovation. Over the past six years, Huawei has quickly developed into a global leading digital transformation facilitators. The rapidly changing digital landscape has enabled Huawei to take advantage of the new realities by providing new ICT solutions to customers, creating best practices for digital transformation, public safety, finance, electricity, transportation, education, and media. Before enterprises choose an appropriate digital transformation strategy, IT and CT are now converging and transforming enterprises. There is no single technology alone capable to execute the digital transformation. What is different about Huawei’s ecosystem? During my experience at Huawei Connect 2017, I was able to learn about some of the company’s strategies and gain insights into how Huawei is developing this platform and ecosystem. Huawei wants to become the customers’ most trusted partner. Huawei’s commercial model chooses to rely on the monetization of technology and services; it does not monetize user data. This is the biggest difference between Huawei and traditional Internet companies. Huawei abides by its own business boundaries and is committed to becoming a platform for the platform. There are many companies that through their own experience in a specific industry have transformed into an enabler platform for that industry. It is very common to see companies such as GE, which is now providing an industrial cloud platform for the aviation and manufacturing industries. Huawei believes that it must create an open, secure, and reliable ICT infrastructure platform within its business boundaries to become the platform for its customers and partners’ platforms. Huawei’s platform is a cloud-pipe-device collaboration full-stack ICT platform; it provides all-in-one ICT services for customers and partners. 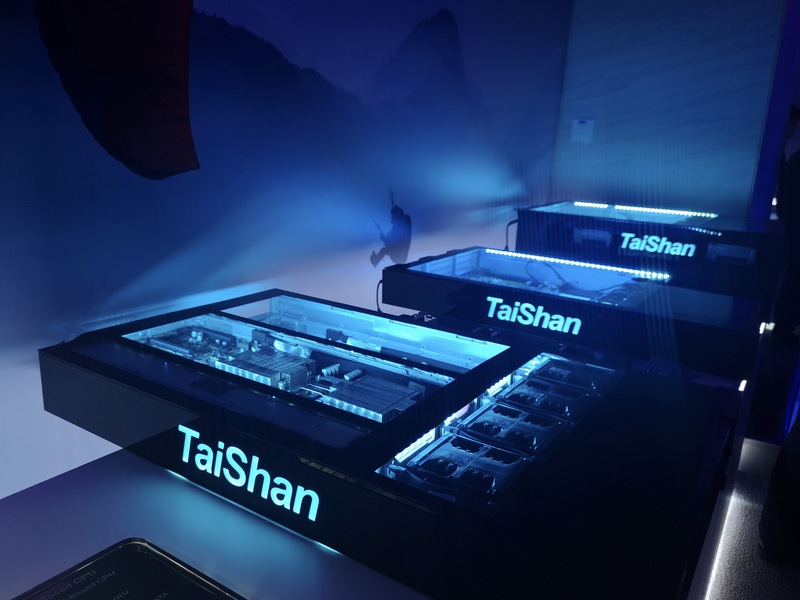 The upper layer platform does not need to bother with the lower layer’s complex software and hardware systems; it can focus on its own service optimization and innovation. Huawei is committed to becoming the ecosystem’s soil (the platform) to help customers grow quickly. This is why its plan for developers is called the ‘Developer Enablement Plan.’ This platform is the presence of Huawei in over 170 countries around the world. 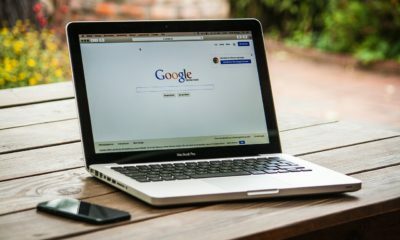 Developers and partners could use this platform for their global marketing and services. In order to enrich this ecosystem, Huawei has laid out the plan of establishing OpenLabs, which cover all areas of jointed innovation with customers and partners across industries: public safety, finance, power electric, and manufacturing. In the next three years, Huawei will continue to invest $200 million to build and operate OpenLabs (currently 13 and grow to 20) in Asia, Europe, Middle East and Americas. Huawei provides a one-stop cloud-side collaboration infrastructure platform that integrates all new ICT technologies to help businesses stay competitive in the digital age. Huawei’s business has achieved rapid growth via industry-leading customization solutions for government and associated industries. By carrying out joint innovation with partners centering around the business needs of customers, Huawei focuses on creating a win-win ecosystem. In the transformation process, customers, partners, and Huawei each have their own unique advantages: customers understand their businesses, partners know how to transform the business needs of customers into industry-relevant applications, and Huawei knows how to utilize hardware and software ICT infrastructures to deliver effective business support to customers. In the digital transformation journey, Huawei has embraced the vision that partnership and collaboration will be a bigger driving force than the technology itself. 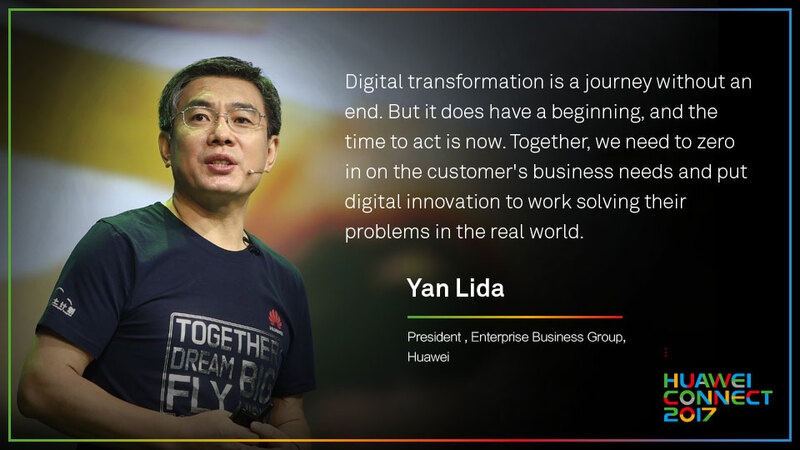 By partnering and guiding its customers in their digital transformation journeys, Huawei is strategically guiding each enterprise to their destination. The goal is to be connected, intelligent and cloud-based. Huawei is uniquely positioned to take enterprises on this journey because the company is able to provide a holistic suite of solutions from devices, to infrastructure, to services based in the cloud equipped with Artificial Intelligent capabilities. According to Mr. Lida, “Huawei’s business positioning is to be a pioneer of digital social and intelligent social development processes, the industry’s digital enabler, and the best partner. In 2016, Huawei’s Enterprise business grasped the historical opportunities of digital transformation by focusing on infrastructure”. Of course, the road of digital transformation from traditional ICT manufacturers to the enterprise market isn’t easy, even for Huawei. Backed by six years of hard work, Huawei focused its ICT infrastructure and carefully chose partners with complementary strengths. By working together with its partners, Huawei has been able to deliver key industries with true digital transformation. The combined results have been to help public safety and government, finance, energy, and transportation enterprises to achieve digital transformation while still generating sales revenue of 40.7 billion yuan (about $5.9 billion) – a 47% increase from 2011 when the business was formed. 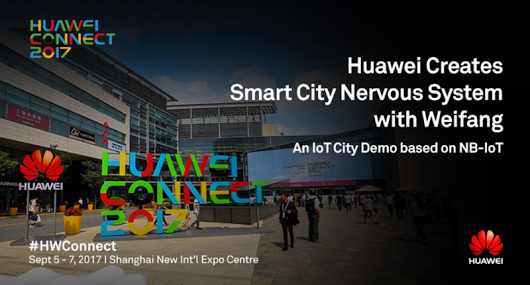 In the field of smart cities, Huawei delivers ultra-wideband network, cloud computing, large data, Internet of Things and other facilities and technologies for cities to create a “nervous system” that enables all things to be interconnected in a smart way. Huawei has also been widely recognized for their participation in the smart city project through the “one cloud- two network- three platform”. During the 2016 Barcelona Global Smart City Expo, Huawei was also awarded the “Southern Innovation Award” for the construction of a digital health system in Kenya. To date, Huawei Smart City solutions have been successfully applied to more than 40 countries around the world and more than 100 cities. 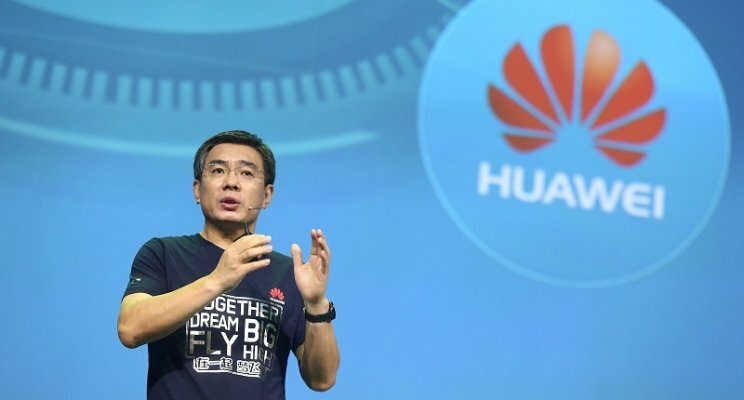 At HUAWEI CONNECT 2017, Huawei and the Shandong Weifang Municipal Government ushered in a new generation of information technology. By including Internet of Things, cloud computing, and large data, Huawei is creating a NB-IoT city network and establishing the first city level based on the company’s OceanConnect IoT platform. Huawei has also used the Internet of Things to integrate various types of sensing devices to achieve data collection and management. In the field of public security, Huawei has continued to apply new ICT technologies such as cloud computing, large data, mobile broadband cluster, Internet of Things and artificial intelligence to the public security field. By working together with partners to build solutions to help cities achieve digital transformation, public security has improved and cities become more secure. Currently, Huawei’s safe city solution has served 80 countries, more than 200 cities and more than 800 million people in Europe, Africa, Asia Pacific and Latin America. As traditional industries enter a critical period of digital transformation to drive business innovation and growth, the cloud is at the foundation for enterprise digitization. To meet this growing demand, Huawei has launched a number of industry-leading ICT products and solutions. Huawei IT products continue to innovate thereby expanding their role as a digital transformation leader. With Huawei’s IT products and solutions serving more than 170 countries and regions worldwide, the company is setting a new standard for the future of digital innovation and outperforming its competition. So far, 197 of the top Fortune 500 companies and 45 of the top 100 companies have chosen Huawei as their digital transformation partner. This list includes SAP, Accenture, Deutsche Telekom, Volkswagen, Oracle, Honeywell, GM, ABB, Intel, Sony, the Russian Federal Savings Bank and more.